Teaching for a better fashion industry, one lesson at a time. If you'd like to hire me to teach a class or speak at an event, please contact me at teaching@zoehong.com. I'm a teacher: I teach classes and workshops on the above subjects. I also advise on school curricula. I'm an illustrator: I can whip up something in my studio for you or I can come to your event and sketch live. I'm a business consultant: I conduct one-on-one Skype sessions to help you with your fashion business. Click below to watch my YouTube tutorials! You’ll be the first to hear about my book and upcoming classes and meet ups. I promise not to spam you constantly! Not sure what to buy? You can shop my product recommendations at my Amazon storefront. I make a little money but the prices are the same. Want to buy me a cup of coffee? Or ten? I sell tech pack templates, fashion figure templates, technical flats templates, practice packs, and many more learning tools! 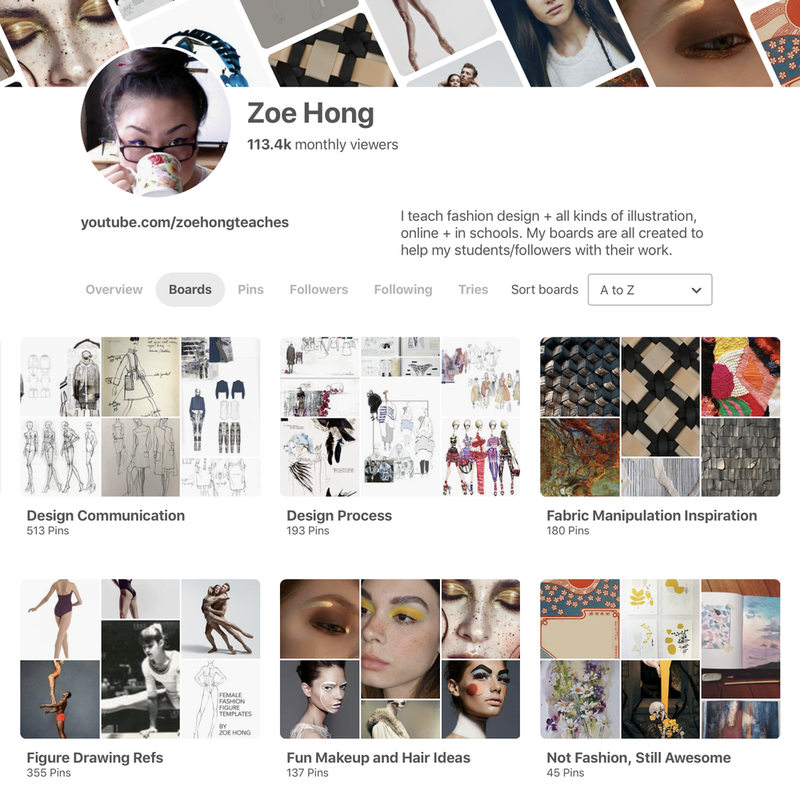 I create boards for my students full of visual references for design, drawing, and illustration. Want to follow my adventures and check out my projects? Want to make friends and network with folks into fashion, art, costume, textiles, illustration, and making stuff?